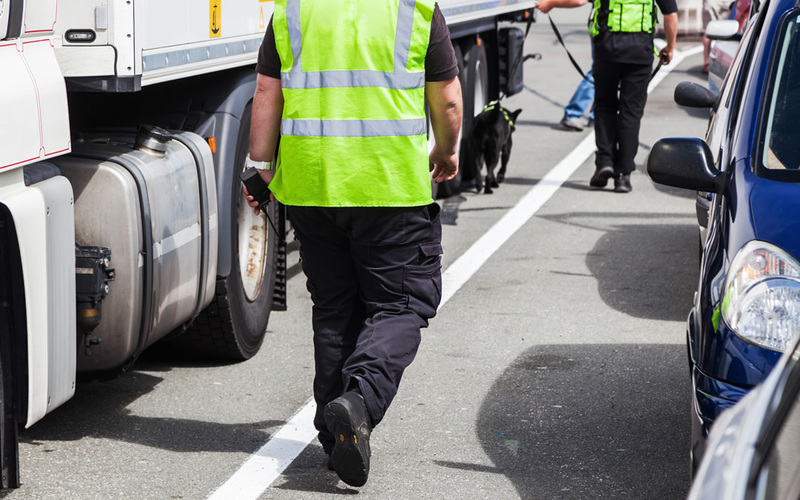 With fines having already reached considerable levels, hauliers across the UK and Europe are struggling to mitigate and avoid the potential damage of stowaway immigrants in their vehicles. Long a contentious issue, the haulage industry has often locked horns with European and UK government over the handling of what is a very delicate subject. As the rate of illegal immigration continues to rise, the pressure placed upon hauliers by governments increases in turn. Fines to hauliers caught with stowaway immigrants have been on the rise for many years – both in numbers and in the size of fees themselves. Drivers have been subject to significant penalties levied against them, in many cases for instances of carrying stowaways they were not aware of. The fines, having increased in recent years to £2000 per immigrant found in-vehicle, can swiftly combine to crippling amounts. The matter is made worse due to the nature of payment; the burden of the bill is laid directly against both the driver themselves as well as their company. This can be a particular problem for drivers who are beholden to the levels of safety and compliance enforced by their transport officers and company directors – many cases of non-compliance and poor vehicle maintenance and safety have been traced not to the hauliers themselves, but to senior management. Although all drivers have direct responsibility for road safety, many drivers find themselves in the difficult situation of requiring employment and working for a non-compliant organisation. As the dust settles from the recent Brexit verdict, and more recently the Presidential election in France, fresh concern has been raised within the haulage industry over the burden of border control and the financial implications that continued illegal immigration may have on already delicate budgets. The successful Presidential candidate in France, Emmanuel Macron, has already shown signs of interest in restructuring the way in which border control is enforced between the EU and the UK. Concerns are being voiced across the haulage industry over the suspected outcome that greater responsibility will be placed on the UK and its hauliers when it comes to immigration control and security. In response to the rate of both immigration and terrorist attacks in recent months and years, border control as it stands has tightened considerably and is set become stricter – regardless of changes to the responsibility of individual countries. As governments attempt to kerb the rate at which stowaways are entering countries such as the UK, already strained sea and road-based infrastructure continues to be disrupted with lengthening queues and damage to trade the most apparent results of increasingly lengthy border checks. Hauliers are not left stranded in the struggle against illegal immigration and financial pressure, however. With many organisations tightening their belts to secure a reliable and functional level of profit, forward-thinking directors and transport managers are looking to new hardware and ways of working. Chief amongst these new options are the range of powerful monitoring hardware available to HGVs and smaller fleet vehicles. With fees ranging from thousands to accumulated millions for stowaways found, efficient vehicle monitoring and safety features are of paramount importance. As fleet managers seek immediate improvements to both general claim response and driver compliance, modern camera technology has risen to the forefront as a potential solution. The potential for fees to be levied against hauliers due to unobserved stowaways can be directly addressed through the implementation of 360-degree camera technology. Able to transmit vehicle and video data to head offices in the event of any identified incident, these devices also offer the practical benefit of improving efficiency in general claim response, vehicle maintenance and driver behaviour. These immediate improvements to haulier operations are a welcome solution to an issue that is expected to remain a challenge to the industry in the years to come.